Each Bella amplifier is meticulously hand wired, assembled, and tested in our Lake Elsinore, CA factory. TWO POSITION BOOST: This 2-position switch varies Bella’s input gain stage via the front panel or the footswitch jack located on the back of the amplifier. Engaging the boost provides +6dB of boost at the first gain stage. THREE POSITION BRIGHT: The bright switch has three selections available. In the down position: the Bright switch is out of the circuit. In the middle position: Bella introduces a modest amount of brightness that brings out the guitar’s upper frequencies. If you desire more organic chime, set Bella’s Bright switch to the up position. This position naturally opens up the top-end, allowing all of your guitar’s higher frequencies to shine through. 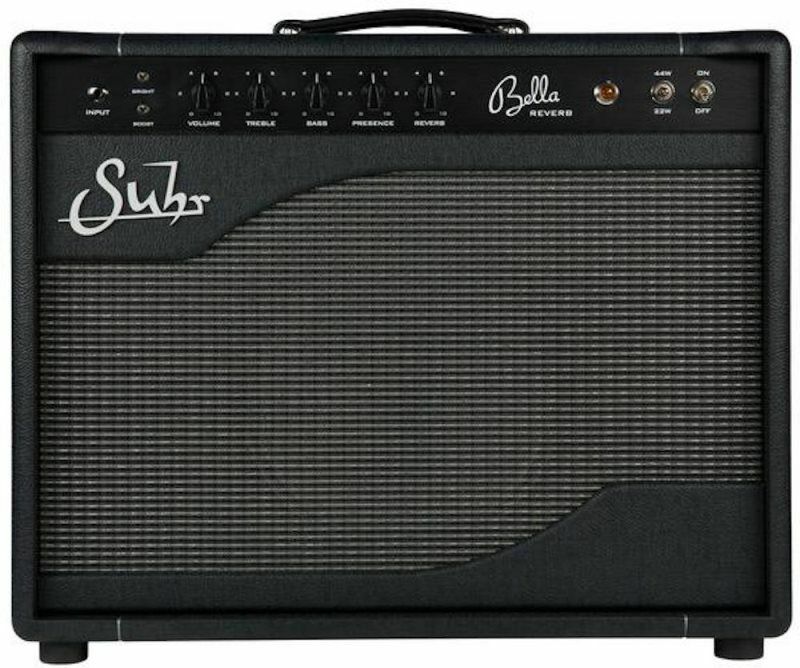 Bella is equipped with a full-featured, all-tube series effects loop which performs equally well with pedals and line-level rack gear via the loop’s independent send and return controls. The effects loop was designed to be extremely clean and transparent, making it the ultimate effects platform. Bella has been specially designed with your pedals in mind and it’s the ultimate, clean, pedal platform. It responds to virtually any pedal in a tone-full way and even the bright switch is friendly with most overdrives and distortions. The standard Bella has a single button foot switch available for the selectable boost. The Bella Reverb has a two button foot switch available to remotely switch the boost and reverb circuit. The optional reverb circuit was painstakingly designed to offer players the ultimate reverb experience without coloring or altering the sound of Bella or your instrument’s natural tone. Effects Loop - Tube driven, buffered, with independent send and return levels. Back Panel - Mains Input Inlet, Mains Fuse, H.T. Fuse, Speaker Impedance Selector: (2Ω, 4Ω, & 8Ω), 2-External Speaker Outputs, Effects Loop Return Level, Return and Send Jacks, Send Level, In/Out Switch and Boost - Footswitch Jack. "A work of art and beauty ... not just skin deep"
Handcrafted into a beautiful 7-Ply Multi-Wood Headshell. Precision Laser Cut integrated 1-piece front panel and logo. 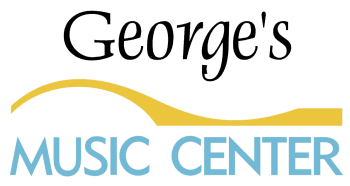 A work of art that can be displayed in any room of your home or studio. Power attenuator allows you to adjust the overall volume without having compromise to your tone. Perfect amount of control to carve any tone for any recording or practice situation. 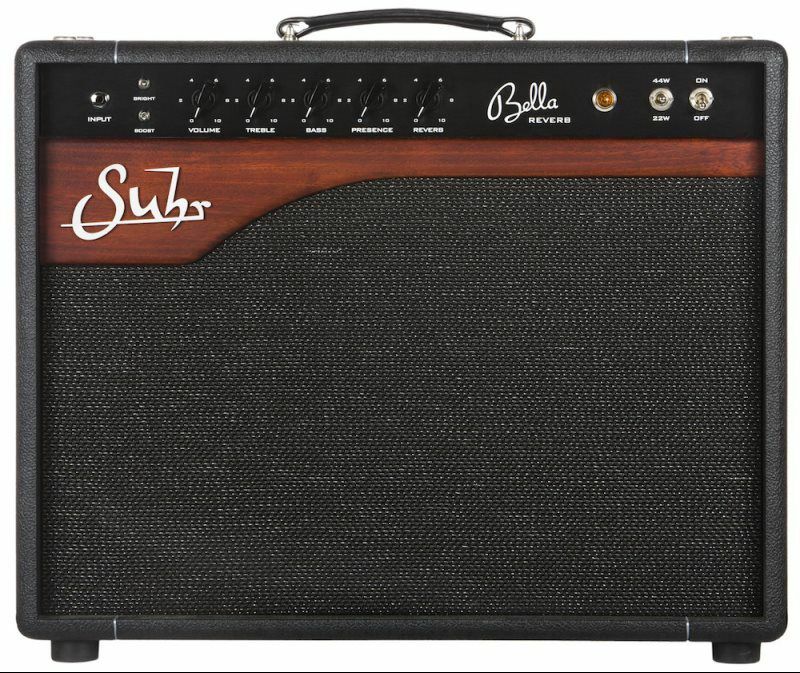 An amplifier designed to be versatile for any player. Line Out brings the entire sound of the amplifier to your recording workspace. Connected to any I/O device the line out makes it easy to capture the nuances and dynamics that Corso has to offer. 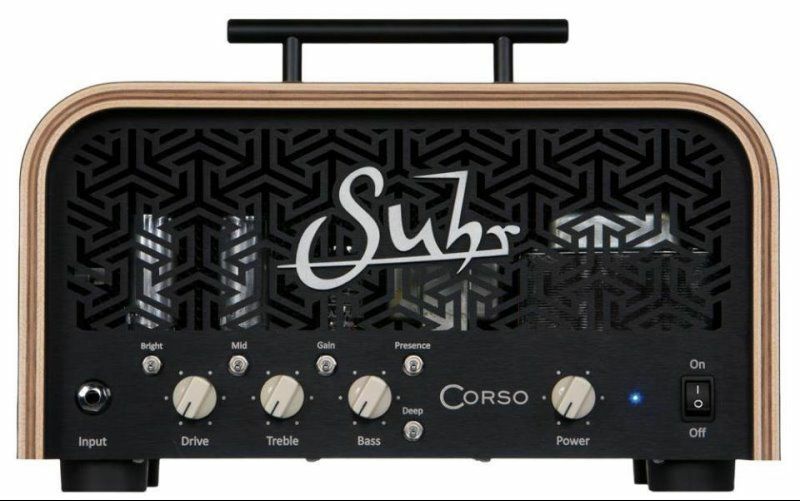 The Suhr Corso Recording Amplifier is the ideal studio companion. portable form factor - perfect for any recording studio application or bedroom practice session. The Corso was designed with a unique low-gain input stage to accommodate a variety of your favorite boost, overdrive and time based pedals. The three position power switch incorporates a low power Variac™* mode which lowers the amount of voltage available to the amp. 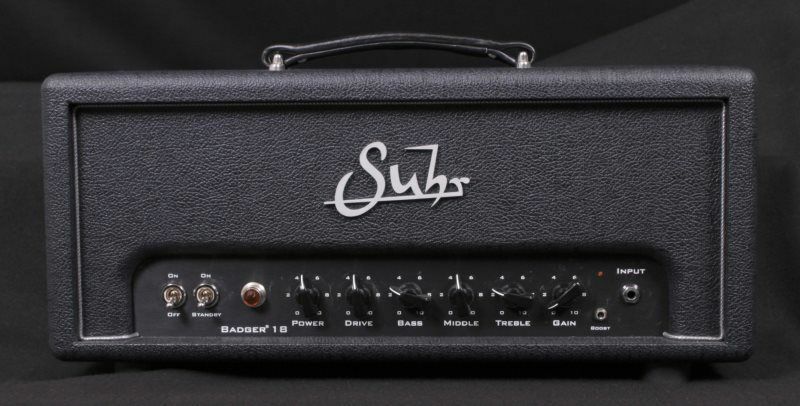 This classic mod makes the amp feel much more spongy with a smoother attack and has been the foundation for some of the greatest rock tones of all time. To avoid having to re-bias the amp when switching power modes, SL amplifiers have two internal bias adjustments, one for HI power, the other for LOW. Output transformers have a major impact on tone. It’s the bridge between the output section of the amplifier and your speaker cabinet. We’ve spent countless hours listening to different transformers until the spec was finalized for our custom “PLEXI” output transformer. This transformer sounds clear, is dynamic, and lends authoritative authenticity to the amplifier. Suhr SL amplifiers feature a Post Phase Inverter Master Volume control. This type of master volume control is highly effective at transparently controlling the output of the amp. When the control is at 10, it is completely transparent and out of the circuit. Start turning it down, and the amps volume can be reduced all the way to whisper levels. Every Suhr SL67 and SL68 amplifier is meticulously hand wired, assembled, and tested in our Lake Elsinore, CA factory. 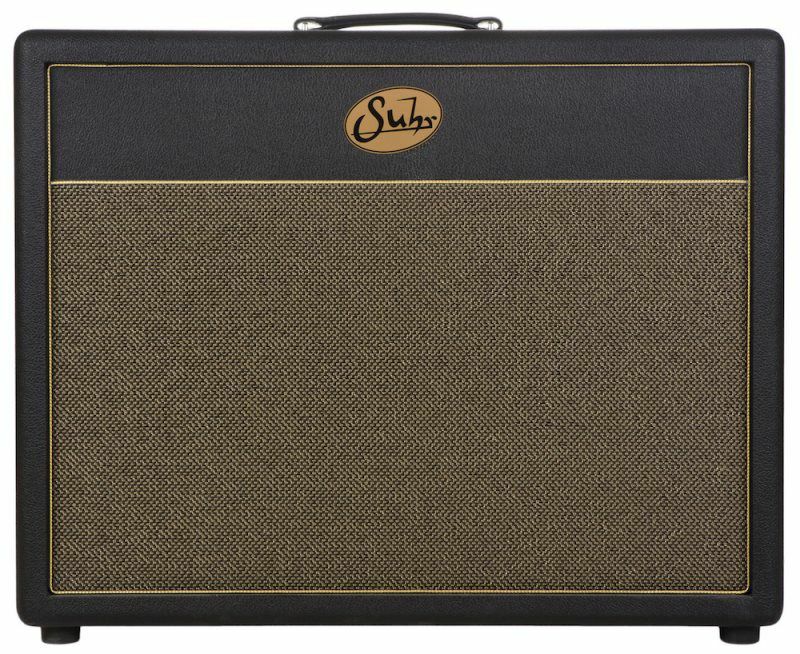 *Suhr 2×12 Deep Extension Cabinet - Black/Gold available separtely.